Let your postcards sing for you! 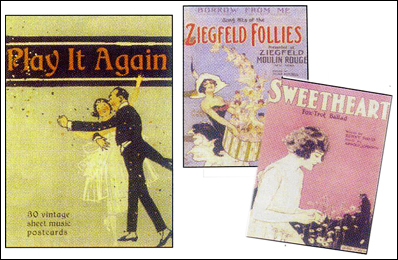 30 classic, vintage sheet music designs lend just the right tone (groan) to your postal messages. The 4” X 6” size is also perfect for framing and creating a musical tableau.